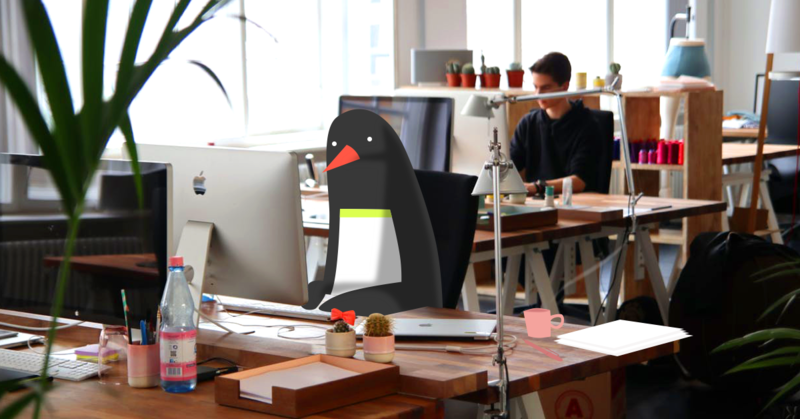 In the last post, we covered the main link building strategies to avoid to help you identify any black hat tactics that may have been used by one of your previous in-house SEOs or digital marketing agencies. Finding & removing low quality links should be the first step of any link building strategy, so if you didn’t get a chance to read it take a look before moving on. Every website is different, so no link building strategy should be the same. While part of your strategy should definitely include some competitor research, to dig into the link profiles of successful websites within your industry, there are many other avenues that should also be explored. The following are some legitimate link building activities that have been tried and tested. Focusing on just one or two of these channels is unlikely to provide you with a natural link profile, so the more diverse the sources, the more likely you are to future-proof your strategy. Writing useful content is still the number one way to build links naturally. How many times have you seen a piece of content that you liked and shared with others as a result, whether it was through social media, blog comments, or from referencing it within one of your own blog posts. The trick is to make sure that you know who you’re writing for, create content that they will like, and make sure they hear about it. Do some research into content that was successful on competitor websites to give you some insight into which topics work well; there are several tools that allow you to check the number of shares that a page had, including SharedCount and ShareTally. While it can be tempting to rehash a topic that’s been written before, you’re much more likely to succeed if you come up with something original, or at least add a new spin on it to make it unique. I’d like to add that a blog isn’t always suitable, whether the reason is a lack of resources to keep it maintained, or an industry that doesn’t lend itself well to inspiring content. Creating a blog for the sake of SEO is worse than not having one at all, so in this case it can make more sense to create some ever-green content in the form of guides or white-papers that will help your readers for years to come and naturally generate links when referenced as resources. These pages can also be optimized to rank in the search engines for related keywords, giving your website another great source of organic traffic. Link reclamation is the process of reclaiming links that were once passing value to your website. The value from these links may have been diluted or lost entirely due a number of reasons, including incorrect/missing redirects, or simply down to human error. While link reclamation isn’t technically building new links, it can provide a quick win and is totally legitimate, provided that the original links are not of low quality. Restoring broken links can also yield much more value than other link building efforts based on the amount of time invested, as the links are already in place, it’s just a matter of fixing them. These errors occur when a user or a bot attempts to access a page that doesn’t exist. This is usually caused by a page either being removed or moved to another URL without suitable redirection in place, but can also be triggered by a link that points to an invalid URL. 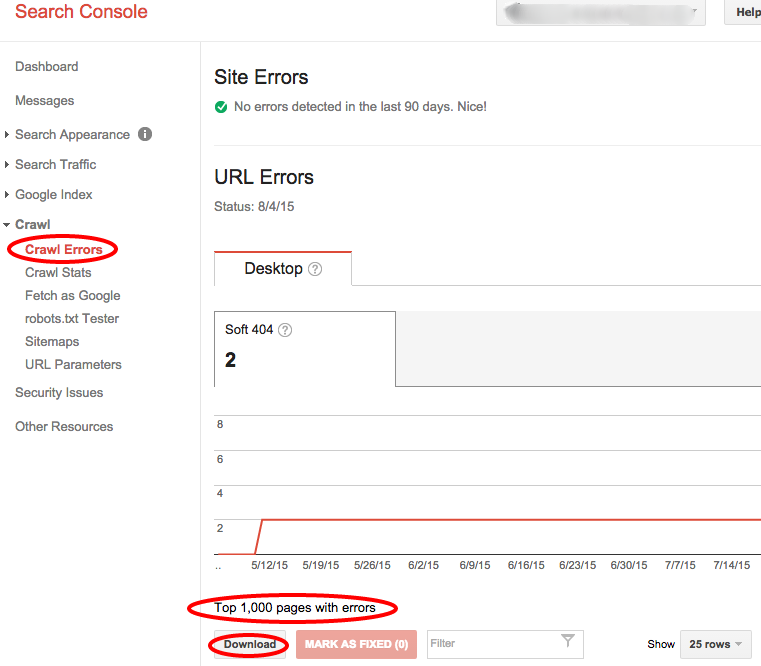 A sample of up to 1,000 404 errors can be exported from your Google Search Console account (or 1,000 per geo-target subfolder if several properties have been created at this level). Other tools such as Screaming Frog will allow you to identify internal broken links within your website. 404 errors can be easily fixed by updating broken links. This can be done quickly for internal links that you have control over, but may be harder when the broken link is located on another site. Ideally the linking site can be contacted and the new URL updated, but if this isn’t possible, 301 redirects can be added to redirect the value (and users) from the old URL to the new (or a relevant alternative page). Ahrefs and Majestic both allow you to spot broken or deleted links, which can be very useful for investigating the cause of the missing links in order to have them fixed/replaced. It’s important to use the 301 redirect when permanently redirecting one page to another. While other redirects may appear to successfully divert users to the new page, they don’t pass value, so the new page won’t benefit from the ranking power on the old page. Screaming Frog allows you to filter redirects by type, helping you to find internal links that redirect using anything other that a 301. Another useful tool to check HTTP headers, redirect codes, and identify redirect chains is the Ayima Redirect Path Chrome extension. In January 2014, Matt Cutts (former head of Google’s Webspam team) published a blog post about guest posting and why it should not be used to build links. However, this is clearly aimed at those who overdo it, particularly on low quality blogs. As long as you’re not doing it too often and with the sole purpose of building links, it can still be a great way to build awareness, traffic and the odd link. When you have your own blog it can be easier to approach owners of other popular blogs within your niche, in order to gain guest blogging opportunities. Being part of the online community in your industry will also help you to gain credibility – people are more likely to want you to write on their blog if they can see that you have a respectable following that you frequently engage with, so Twitter is a great place start. 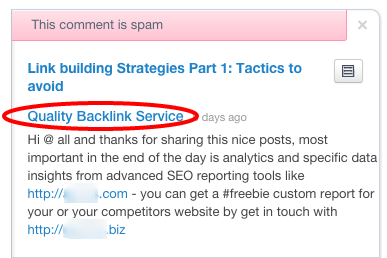 As I mentioned in my last post, building links from blog comments is another technique that was fairly common in the past, but was hijacked by spammers. However, done naturally, with other goals in mind besides just gaining links, it can still bring some value. When considering whether to add a link in a comment, first think about whether you would accept the comment on your own blog. If the answer is no, then don’t do it! These days, most blogs add the “nofollow” attribute to links within the comments, so they don't pass any link juice. Spam comments are very frustrating for the blog owner, and while some filters can be added to prevent the bulk of them, there’s always going to be some that slip through the net. Make sure your comment doesn’t end up being flagged as spam! What’s more, some commenting platforms such as Disqus allow blog owners to mark comments as spam and even add users to their blacklist, which is shared with other bloggers. If the majority of comments you made were marked as spam, most blog owners won’t even read your comment, let alone approve it. You usually get the chance to add your website URL when registering to make a comment, which is normally linked from your name. This is natural. However, adding keywords as your name and linking to your website is not. If you’re benefitting from this type of link building now, don’t expect it to last. Some people also try to get away with adding exact match anchor text links to the comment itself. 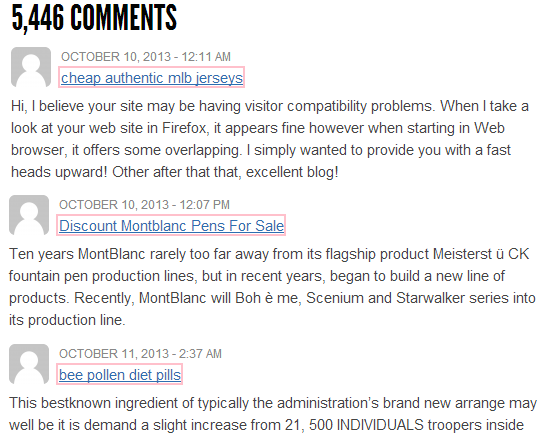 Most blog owners (WooRank included) will dismiss a comment with an anchor text link without even reading it. Make sure your comment is relevant to the blog post; be thoughtful and avoid being too generic. Provide useful feedback, including your thoughts or opinions on the subject covered. Comments like “Great post!” and “Thanks for posting this useful information” are unlikely to be published. If you have a relevant resource that you want to link to, link directly to the content with the full URL, rather than to the homepage. This keeps things natural and even if a nofollow is applied, you may be able to drive some visitors to the resource. Avoid adding comments to posts that already contain blatant comment spam. Comments here are unlikely to ever be seen by anyone and will put you in the same boat as the other spammers. Depending on the type of website you have, this may or may not be something that you can work into your strategy. The idea behind image link building is simple – when websites use images from other sites, they often provide a link back to give credit to the original source. If you optimize your images well (descriptive filenames and alt attributes, etc.) 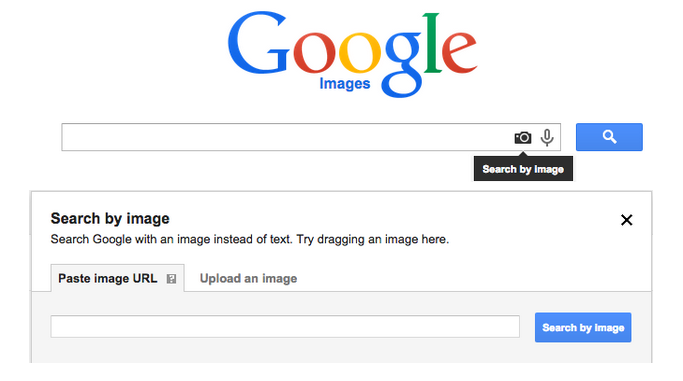 you can help them to appear in Google image search, which will improve the chances of them being used by other sites. However, if you’re not the patient type, you could reach out to groups of websites that may be interested in your image portfolio. This also makes it easier to add the credit message and link to your site, by providing the code with the image and the credit note. You can also search for websites that already use images from other sources and credit them with a link. This way you know that the website you’re reaching out to you does provide credit links. A quick way to start a list is by searching Google; the following query will return all URLs that include the word ‘blog’, along with the word ‘Image credit:’ appearing on the page: inurl:blog “Image credit:”. If you find that your images have already been used without your permission, you’re completely within your rights to contact the website hosting your image to ask them to provide the credit that’s due. It’s easy to use Google image search to check if your image appears anywhere else – just go to Google Images, click the camera icon, then either paste the URL of your image or upload it. Sharing your content on document sharing sites can help to boost the number of people that see your content. While many document sharing sites add the nofollow attribute to their links, you can still piggyback off of their popularity to boost your content and your brand. This is not just limited to blog posts, but includes other promotional content that your company has produced in the form of whitepapers, e-books, PDFs, case studies or even restaurant menu cards. Optimize all elements of the document, for example, a relevant filename, title and description containing your target keyword topics, and on some sites you can even write transcripts of your document. Don’t forget to include your branding within the documents. Featuring your articles in Google News can be a great way to give your content some exposure. This won’t suit all business types, but if you’re regularly posting well-written news articles then you may be an ideal candidate. Google news articles often appear higher up in the search results, giving your content a boost without any special SEO efforts required. This extra exposure can also lead to links, as other websites may reference your article from their own content. Submitting press releases to press release websites was a common link building practice, but again like many link building methods, it was over-used by spammers who would add low-quality content just for the links. This caused Google to take action and penalize some of the sites involved, including one of the most well known – PR Newswire. Some responded quickly by cleaning up the low-quality content and tightening their approval processes. PR Newswire published a press release shortly after the update, making users aware of their new policy: “press releases will be evaluated to ensure quality before distribution over PR Newswire’s network”. This seemed to do the trick, as the website made a full recovery and now appears to be performing better organically than it was before the penalty. And finally, don’t forget to reach out to any contacts that you already have. It’s often easier to get your content in front of somebody who knows you. Although small businesses may not have lots of time and money to spend on designing infographics, there are services offering free infographic templates. If you have some useful industry statistics or data from conducting your own industry surveys, replace a boring, text-based blog post with an infographic to give a visual representation of the data. You can then post the infographic to your blog and embed a link to your post, so that you are credited when others use your infographic. 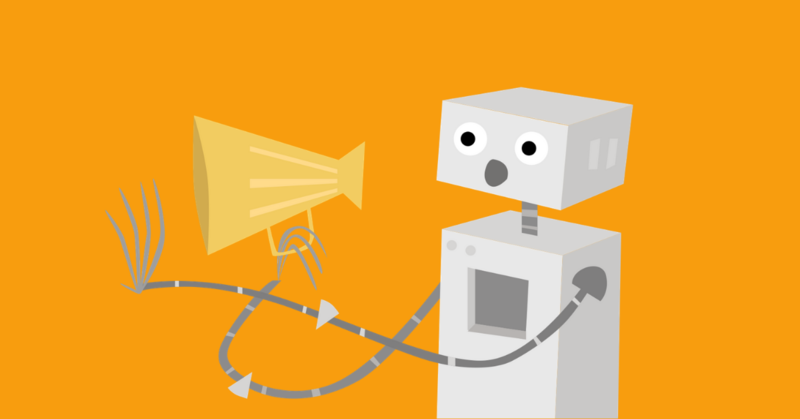 Check our post on the top free Infographic Tools. A great way to build infographics that have a good chance of being a hit with your audience is to look at the content you already have. Do a bit of digging around into your Google Analytics data to pull out your most read content, then think about which pieces of content could be translated into an infographic. For example, if you have a blog post that explains a process, use this to create an infographic with a flowchart to bring the process to life. 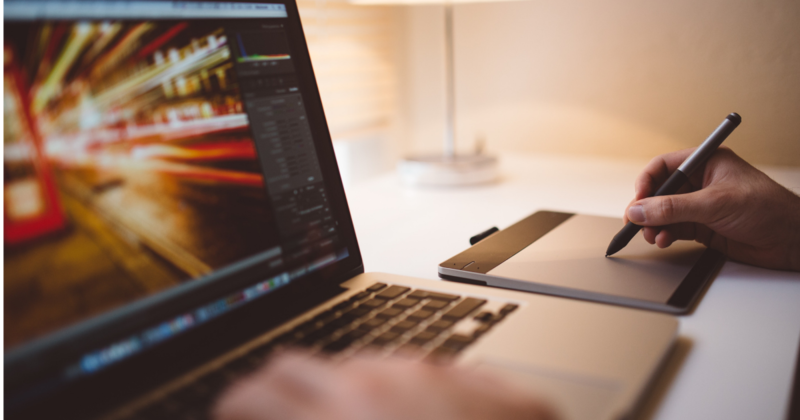 Any data-heavy content you publish is a perfect candidate to become an infographic. It’s essential for businesses of all sizes to have some kind of a presence on social media. The reason for this is simple; these days, most people use some form of social media, including your mom, uncle, grandma and of course your competitors. So if you’re not there too, you’re missing out. Different social media profiles can also help you to fill up the first page of the search results (for branded queries) with pages that you have control over, rather than websites with similar names that may confuse your customers, review websites, or worse still your competitors. Social media is great for building a personality behind your brand, allowing you to share your content and updates, as well as helping your customers by answering their questions. Businesses with a social presence and a good following also tend to gain more trust. If you’re sharing a piece of content that features another business or service, mention them when sharing the content by including their brand or handle – if they’re doing a good job and tracking brand mentions then you may catch their attention, leading to a retweet/+1/share. Your social media channels may attract some negative feedback from unhappy customers. If you handle the situation well, this can play to your advantage, as you’re demonstrating that while things don’t always go to plan, you’re there to help and happy to resolve issues. It’s generally much harder to engage with your audience through social media. When somebody is looking for your products or services, they are in buying mode. When they are looking through their Facebook feed to see what their friends are talking about, they are not, so you need to keep this in mind when thinking about how to engage with them. This generally means using a toned down, more subtle approach. If one of your friends was constantly trying to sell things to you via social media, you would probably delete them. Social media is the same. It’s about building and maintaining relationships. While the SEO value of links from social media hasn’t always been particularly clear, these links definitely come with huge referral potentials. Various Google employees such as Matt Cutts and Gary Illyes have come out and said that social links are not a factor in search rankings. But, as Matt noted a few years ago, there’s a strong correlation between pages that gain more traction in social media and those that rank well in Google. There's probably not a direct link between social sharing and rankings, but your sharing links on Facebook and Twitter help expose them to a large audience, increasing the chances a page has to acquire links. You should view your social media channels as a passive link building channel. Being aware of what people are saying about your brand is very important. For starters, they may be potential customers reaching out to you via whatever channel they happen to be using, so this would allow you to respond. But they may also be from people saying something negative in a public space, so it gives you the opportunity to quickly reply to defend your brand while also looking to address any issues. Tracking your competitor brand mentions can help you to get an understanding of how they are building new links and what their customers are saying about them. If you see a potential customer asking questions about one of your competitors, it can be the perfect time for you to step in and make them aware of what you have to offer. Similarly, if you see that somebody has linked to one of your competitors in a blog post or news article and it would also make sense for them to link to you too, then you can contact the author and try your luck. Look at the quality backlinks that you competitors are building then use their success to compliment your own backlink profile. There are several services to track brand mentions. Google Alerts is completely free and gives you a daily email update with all of your mentions. Another great service that comes with several pricing levels to suit all businesses is Mention.com. Mention gives you more data allowing you to monitor mentions from millions of sources in over 40 languages, so you can react quickly. You can also filter mentions by type, analyze statistics and create reports. It has a nice notifications system to update you of any new mentions as they happen. The main thing to remember when looking to build links is that you need to remove your focus from the ranking benefits associated with the links, and instead think about the bigger picture: the referrals they could bring, the brand awareness they could build, how they could improve the overall user experience or allow you to become a trusted member of an online community. The number one most important part of building links is to first create content worth sharing. Easier said than done, of course. So how can you create a content strategy geared toward backlinks? It’s actually pretty simple: leverage the content that already gets links. People link to content they find useful, accurate and unique. To figure out what sort of content meets that criteria, look at what your audience is already sharing. 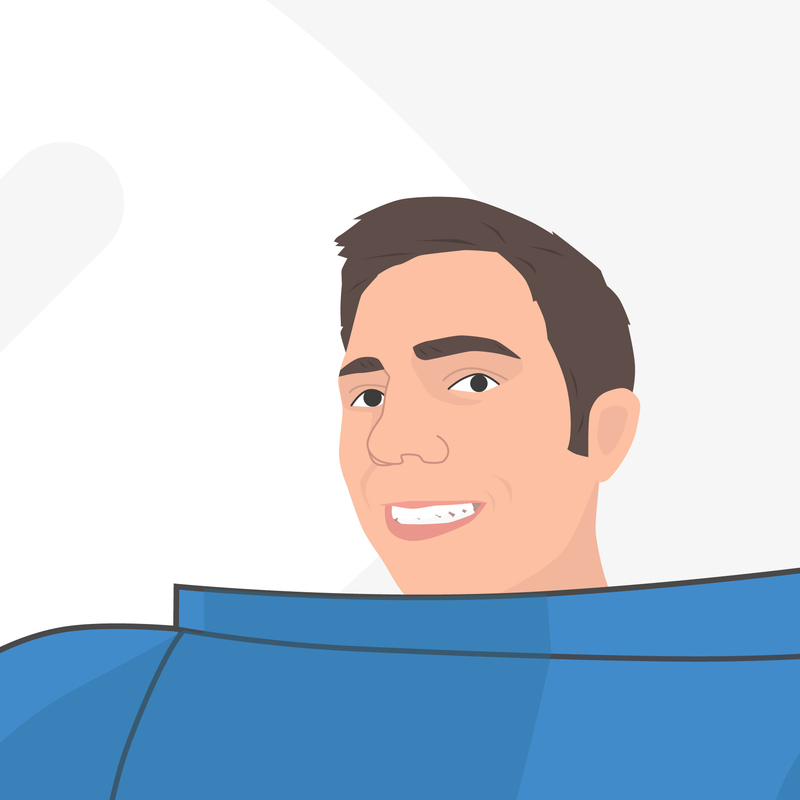 There are tools out there like Ahrefs and Buzzsumo that let you search by topic so you can find articles in your niche that people found useful enough to link to. Pages with a lot of shares and links show that there’s already considerable demand for that content, which makes securing links much easier. Use Majestic to identify some of your own content that’s managed to attract valuable links. You don’t necessarily want to repurpose this content because you’ll cannibalize your own links, but it will give you some good ideas for content your audience likes. If you’re feeling a bit sneaky, you can engage in some corporate espionage to find your competitors’ highly shared content to use so you can usurp some of their links. Update it: There’s a good chance there’s some older, less relevant content out there getting linked to, particularly if you’re in a fast-paced industry. Update it by adding new, relevant information and links to make it more useful. A good example of this type of thing is 302 redirects: Until recently it was SEO best practice to avoid 302 redirects as it was thought they didn’t pass full PageRank. That changed this year, so there are still lots of articles about SEO best practices out there telling people to avoid 302 redirect. This your opportunity to earn a link by correcting this out of date content. Expand it: Some of the most shared content are lists like "top 10 kale recipes" or “5 ways to organize your home.” Improve on these lists and adding to the number of entries. If you can, aim to double or even triple them. Some of these longer lists don’t go into much detail or don’t include any references. If that’s the case, add some detail and links, even if it’s just a sentence or two for each point. This makes content way more valuable. Redesign it: Design is a big part of user experience - people won’t link to sites that don’t look good or are hard to read. Add some aesthetically-pleasing visual elements to help readers get more out of it. Or, if it makes sense, turn it into an infograph. Infographics are some of the most popular forms of content on the web in terms of sharing and linking. You can make it even easier to share by creating embed code that links back to your site. Blogs are one of the best, and most popular, ways to add published content to your website, but it’s not always the right choice for everyone. Having a blog just for SEO won’t really help you much if you don’t have the resources to maintain it and consistently publish new content. If that’s the case, concentrate on creating longer pieces of evergreen content that will stay relevant for months or even years. Evergreen content is a good idea even if you don’t have a blog, and will help you protect your links from people doing what we just described. This is a relatively simple step, but it can make or break your link building. Successful campaigns require sticking with a well thought out strategy and tracking your progress. The next step in your link building strategy is to cultivate a list of potential links. If you haven’t done some competitor link research yet, do so now. You’ll end up with a list of pages that are interested in your niche, cover topics relevant to your website and show the propensity to link to content similar (but not nearly as good) to your own. AuthorCrawl: AuthorCrawl uses the Moz API to find links to a URL and then crawls those pages looking for authorship markup. It then collects information from the author’s linked Google+ page so you can determine their influence and position in the industry. You’ll also get the author’s URL and Page and Domain Authority information. BlogDash: BlogDash is a blogger outreach platform. It has a searchable database of bloggers that you can filter by category to include only those who write about topics relevant to your business and by Google rank to maximize your reach. You’ll also see recent topics they’ve covered and, most importantly, their contact information. Once you’ve got your list of names and information, get organized. Dump your list of bloggers into a spreadsheet with columns for subject, domain, reach, authority, recent posts and a few columns to note outreach efforts like date and methods of contact and response. You might be tempted to sort this list solely by Domain Authority or reach, but resist the impulse. It’s more efficient and you’ll see better results if you focus your efforts on writers who are more relevant to your business. Your added value: Writers probably won’t be interested in linking to something they’ve previously covered, especially if it doesn’t add anything for their readers. Start off your email by telling them how your article or website will fill in a gap in their previous post. A great way to add value here is to offer a solution to broken links. Use the Check My Links extension to find invalid links that could be redirected to your site. Hyperlink anchor text: Don’t copy and paste URLs directly into your email - it looks like you automated your outreach by pulling information out of a database. Instead, hyperlink using anchor text. It will give your emails a more polished look and if you use generic anchor text (like "here"), they’ll look less spammy. If you’re referencing an article they’ve written recently, don’t worry too much about linking back to that article - writers generally remember their recent work. Unique subject line: You’re likely competing with dozens, or even hundreds for the really popular writers, of people for their attention. Use the subject line as a lure, making it specific enough that the recipient will figure out what topic you’re contacting them on, but vague enough they won’t be able to tell you’re hitting them up for a link. If your email subject reads like you’re doing mass email outreach it will get deleted unopened. Your contact info: Add your personal contact information including email, website, social media and even a phone number. Spammers don’t give out their details so this will add to your credibility. Include a personal touch whenever you can. Bland, generic emails will leave a bad taste in your recipient’s mouth, which could damage your relationship and impact your efforts going forward. In the beginning you’ll probably only get a response from a small percentage of your list, but that’s ok. Outreach is as much about building the relationship as it is about getting a specific link. Plus, you reached out to these bloggers because they have a big audience and/or a lot of link juice to pass, so just a few links can have big returns.